It might be a made-up holiday, but come on down to your local independent book store to celebrate and say hi anyhow! Also, we will have a small gift for you on April 27th: thanks to our partnership with Libro.fm, we’ll be giving away a few free digital audiobooks that day! For more information about Libro.fm and the giveaway, go to https://libro.fm/ibd. Tuesday, April 30th at 11:00am: “Children’s Story Hour with Jesse Traub” - he’ll be reading some of his favorite stories. No need to sign up or RSVP, just show up if you are able! Friday, May 3rd at 3:30pm: “Children’s Story Hour with Jesse Traub II: Electric Boogaloo” - this time, he’ll take audience requests! Saturday, May 4th at 1:00pm: “So, You Want to Be a Writer” - Local children’s book author Preston, author of the Valley Cats series, will give an interactive talk about how one writes, edits, and publishes a book! 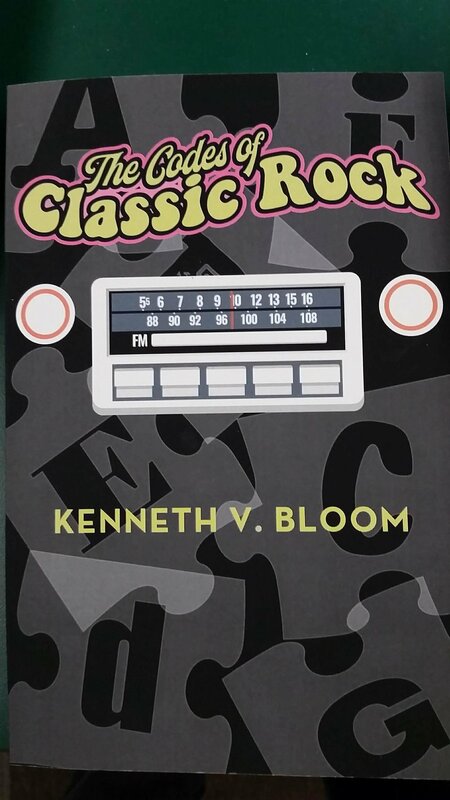 Come join us at the Canterbury on Saturday, April 13th from 11:00am to 1:00pm for a book signing event with local author Ken Bloom! Get yourself a signed copy of his new mystery release, The Codes of Classic Rock, or finish off your collection of his thriller series Harper or his historical romance Four Knights series. Canterbury at the Escanaba Upper Elementary Book Fair! The Canterbury Book Store will be one of the participants at the Escanaba Upper Elementary’s Book Fair being held Thursday, March 14th! We’ll have a room setup where participants (young and old!) can come up and get recommendations for books they might enjoy based on ones they have already read! Plus, we’ll have a display of some of our favorite books taken from the shelves of our store! Or read a book to a child. Or heck, an adult if you can. We are pleased to announce that one of our favorite folk groups, Red Tail Ring, will play in Escanaba on February 9th! First Presbyterian Church (819 First Avenue South) has agreed to host the event at 7pm; doors open at 6:30pm. Tickets will be available at the door for $12 or in our store for $10 pre-sale. This group is world-renowned for their creative and collaborative skills on multiple instruments, from guitar to dulcimer. You can hear their music at www.redtailring.com or find them in person on Saturday in Escanaba or on Sunday at the Second Sunday folk dance in Crystal Falls. The Canterbury Book Store will have our usual 10am-6pm hours on December 24th! If you need a last minute gift, or if visiting family want something fun to do in town, stop on in! However, we will be closed Christmas Day, so don’t wait until the zeroeth minute. Come on down to the Bonifas Arts Center on Dec. 20th at 8pm to hear a live radio performance of the Players de Noc production of It’s a Wonderful Life. The event is free, and we’ll need the help of the audience to create the background noise for some of the scenes, so keep an eye on the cue cards! As the flyer above states, come to the Besse Theater on Friday, Dec. 14th at 7pm to hear a set from Escanaba’s own ludicrously talented percussionist Lorne Watson, joined by a host of other unbelievably talented local musicians: Ann Wood, Bill Sjoquist, Phil Lynch, and Joe Hellberg. It will be a night of music no one should miss! See more information at our blog post on the event! What makes Escanaba special? What intriguing stories exist here? Clear Lake Education Center and Escanaba’s Canterbury Bookstore are offering a 2019 “Sense of Place” program series. Beginning in January, the focus on learning about Delta County’s natural and cultural heritage, our watersheds, weather, businesses, history, geography and more. The series will feature a monthly 1 hour discussion session at the bookstore with subject materials provided that prepares participants for the half-day Saturday field trip to sites around the county. The program series will be organized into two six-month sessions. Individuals fee is $45 for six sessions. Single session fee is $10. Space is limited to 15 participants - sign up early! Come join us this coming Tuesday, December 4th at 6:30pm at the Escanaba Public Library for a free event inspired by the work of Mr. Rogers! Local musician and educator Phil Lynch and our own Rebecca Bender of the Canterbury Book Store (this is Jesse writing this because Rebecca is too humble to promote herself) have put together a program of songs and spoken words adapted from the show. Both Phil and Rebecca deeply appreciate the both the positive, reinforcing message woven through Mr. Roger’s work as well as the teaching methods he used to convey that message. So bring the whole family! Light refreshments will be served at the event as well! For the next several Wednesdays we are going to lure you in with coffee and snacks. Some discussion will be based on The Good Neighbor (available in-store, but under no obligation), and we hope to grow into a small group series based on the interests of our community. Consider yourself invited! Cheryl Muensey will be holding Kindermusik classes with games, songs, rhymes, poems, and simple percussion instruments for the next several weeks. This program engages toddlers 18 months to 4 years old while cultivating musical abilities and expressive skills. There is a $12 drop in rate or $10/session for a longer term commitment. Please RSVP to Cheryl or the Canterbury Book Store. On December 4th at 6:30 p.m. the Escanaba Public Library invites the public to attend The Songs and Wisdom of Mr. Rogers, a production that celebrates the life and impact of Fred Rogers. Created and produced by Rebecca Bender of Canterbury Bookstore and Phil Lynch of The Red House, the event is a unique and fun way to look back at one of the most influential Americans who worked on television. The program is a mixture of live music and spoken word and is a free event with no registration required. The Escanaba Public Library is located at 400 Ludington St in Downtown Escanaba. Call 906-789-7323 with any questions. This event is sponsored by the Friends of the Escanaba Public Library. 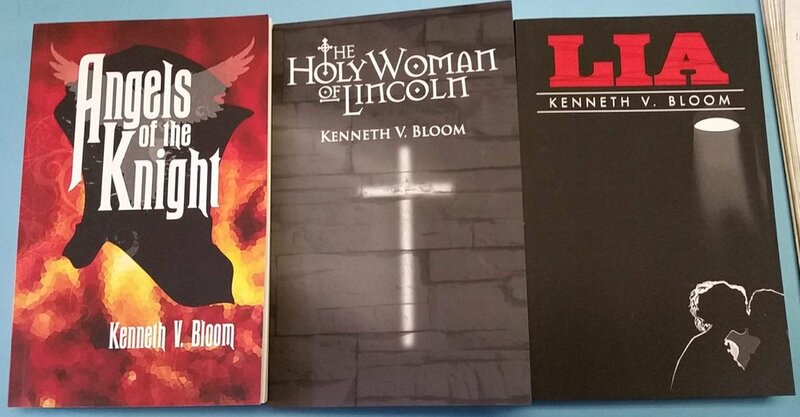 Author Ken Bloom will be in residence here at the Canterbury Book Store tomorrow, Saturday Nov. 3, as part of the Bonifas Art Center’s Holiday Art Walk! We will be opening at 10am tomorrow in honor of the event, so please do stop in and chat with Bloom and buy his latest novel. Then visit the many other downtown businesses and artists taking part in the event, as well as the Bonifas Center itself for a bake sale and art raffle! More information can be found at the Bonifas’s website. Hello all! Despite the spooky Halloween happenings, we are still holding the scariest of all events at the bookstore tomorrow: open discussion! Come join us at 4:30pm tomorrow at the Canterbury for a discussion open to the public. The loose topic for discussion will be fear - what scares us, what fear prevents us from doing, and what it spurs us onward to do. For the next several Wednesdays we are going to open our second floor and lure you in with coffee and snacks. Some discussion will be based on The Good Neighbor (available in-store, but under no obligation), and we hope to grow into a small group series based on the interests of our community. Consider yourself invited! Come join us at the Canterbury on Saturday, Sept. 1 for a special morning event with children's book author Michael Leannah! The event will run from 11am-12pm, and Michael will read his latest book Goodnight Whispers, about the positive effect a father's encouraging words has on his daughter's life and development. Bring your children - the book is an absolute treat that they won't want to miss. Afterwards, Leannah will be on hand to sell and sign both Goodnight Whispers and his previous critically-acclaimed debut book Most People. Come on by and say hi to Leannah and us! Come out and participate in Escanaba's own version of the Amazing Race! Go around downtown to various businesses (including the Canterbury!) collecting clues to lead you to the finish line! Sidewalk sale Sat, July 28th! Extended hours on July 28th for the sidewalk sale: 9am-5pm. Stop by to browse $1 paperbacks and $5 hardcovers! Local Authors Day and book signing! Please stop by the store or give us a call if you are a local author who would like to join in! The Friends of the Library are hosting their annual Ice Cream Social tonight! We will be celebrating 30 years of the Friends, including the retirement of founding board member and long time advocate Lee Ann Messimer. The Escanaba City Band will be there to kick off their performance season, and a good time will be had by all. This free event is a great way to start summer. This Saturday, June 2, from 11am-4pm, come help us celebrate 50+ years of Canterbury Book Store and its continuation under the latest owners (us)! We kick things off at 11am with music by Red House Ramblers. At noon, we'll have cake and coffee on offer for celebrants, followed by a couple hours of face painting available for kids. At 2pm, Bay de Noc Strings will play us some more sweet tunes. So come check out the new inventory, the new renovations, and the new owners! If you're going to be in downtown Escanaba at noon, come join us for a small ribbon cutting ceremony organized by the Delta County Chamber of Commerce! It won't be a big to-do (we're saving that for the day after! ), but it should be a nice welcoming into the downtown community. Ms. Magoon wil present an author talk that is interactive and will integrate some audience members in a reader's theatre experience. This event is sponsored by the Michigan Hunanities Counil's Great Michigan Read, a book club for the entire state with a focus on a single book --- X: A novel by Ilyasah Shabazz with Kekla Magoon. We are not (yet) a sponsor, but we are looking forward to participating! Parents/adults are encouraged to come with family members to play board games just for fun. Young people also may attend with a group of friends to enjoy board games provided by the Library, or you may bring your own game. A drawing for a gift card is held at the end of the game playing. 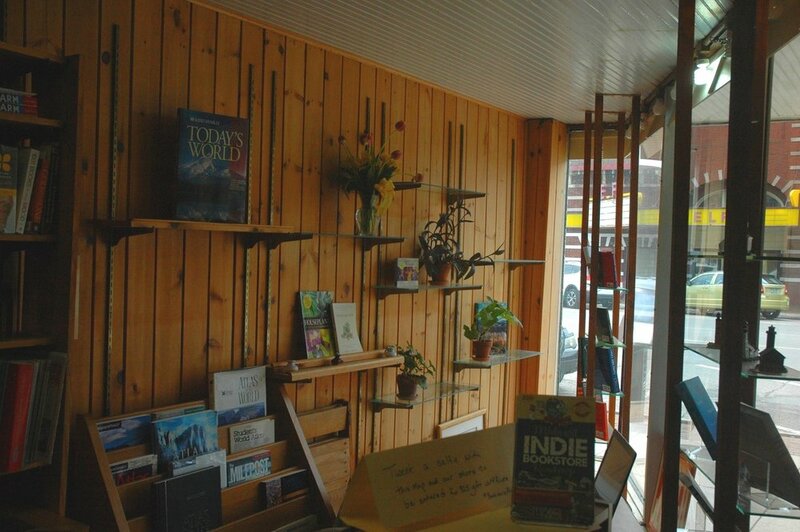 Come And celebrate independent book stores and all that they do here at the Canterbury Book Store! Storyhour is for children four years and older. Each month it will carry a theme and often will have a guest presenter. Most gatherings will conclude with the making of a craft. This "event" is really a personal one for us. It will be our first day on the job. Please stop by to say hello, give us some advice, share your ideas, and (why not?) buy a book!